Dasia Scott Padgett graduated in the Class of 2017 from Baltimore Leadership School for young women on June 2, 2017. Dasia has been accepted at Coppin State University, Baltimore, Maryland. She is the granddaughter of Sandra Royal and the great-great granddaughter of Henry McLamb. ﻿Linda McLamb Owens and husband Johnnie traveled to New York to the funeral of Ronald McLamb in early July, 2017. Cousins Ruby and Charles Singletary of Durham and Sandra Faison of Baltimore, Maryland also made the trip. While in New York, Linda visited with first cousin Roland Robinson. He gave her a handwritten letter from their grandmother Mamie King Harding. 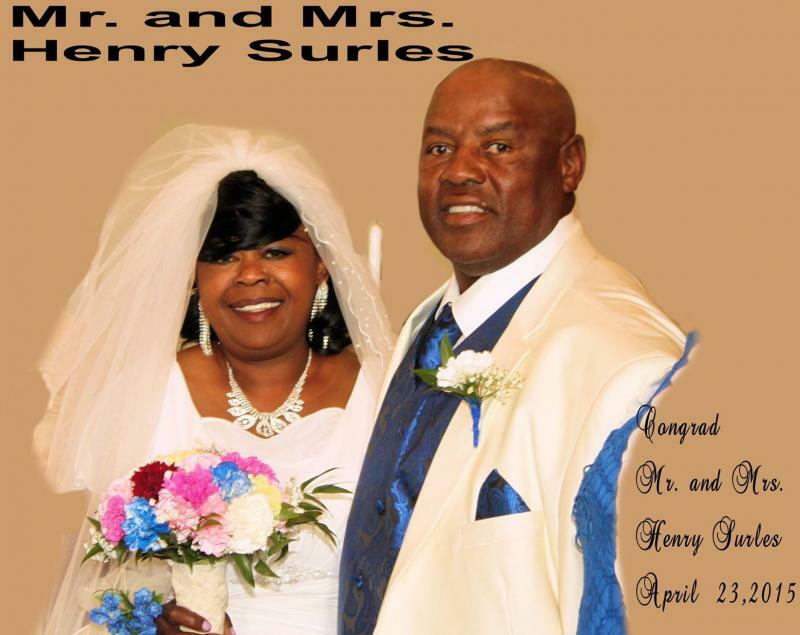 Henry DeWayne Surles is the son of the late Henry Martin Surles and Ruth McLamb. 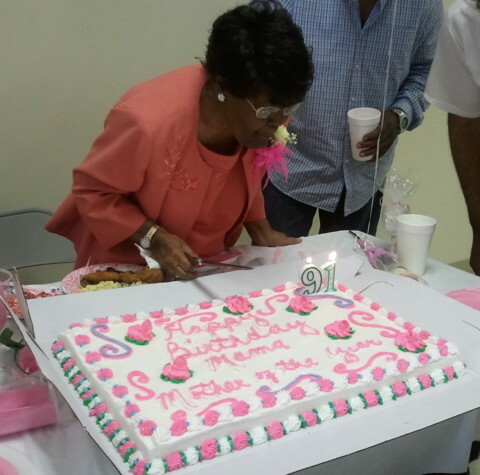 Ester King celebrated his 95th Birthday on May 21, 2015. He is the son of the late Reubin King and ﻿Bertha McLamb. He was honored by his military services in World War II. William "Buddy" McLamb celebrated his 80th birthday with his family on Saturday, June 1, 2013 at The Taste of Sensation Restaurant in Clinton. Buddy is the son of Henry and Evada McLamb and in the Minnie Mclamb ancestry line The Maggie McLamb celebrated her 93rd birthday on May 26, 2013 at Mingle Hill Church. She is the widow of Elwood McLamb, also the son of Henry and Evada. Photograph courtesy of Larry Surles. at the Garner Senior Center. 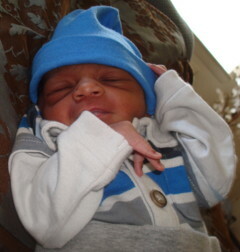 Darryl James Pugh, Jr. born January 1, 2011 is a 7th generation of the Minnie McLamb Family ancestry line. He is the great-great-great grandson of Henry McLamb. 1840-1939 This may have been the Rev. Abram Troublefield that married Dublin McLamb and Hannah Craddock in 1900. Finally a picture of Evada McPhail McLamb has been shared with her family. After many years of looking, Barbara Surles Moore was able to acquire a copy from the Herring Family. Evada was married to Henry McLamb. Honored at Point Level Male Chorus Aniversary on March 15, 2009. He was recognized as being the oldest member of Point Level Disciple Church with 75 years. He was award with a plaque with his picture and all the members of the Male Chorus. He is the son of the late Henry McLamb. 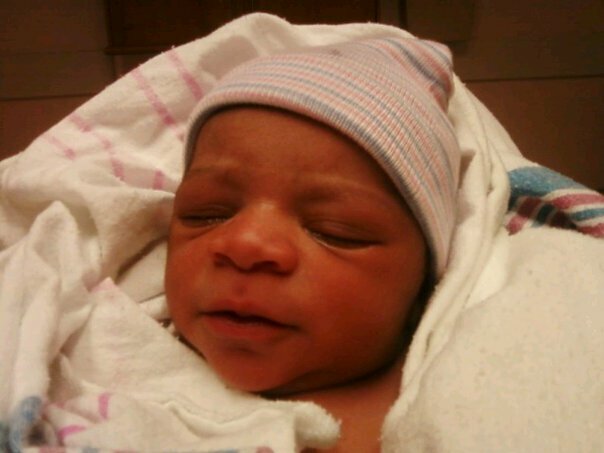 Baby Jalen was born on the end of 2008 weighing in at only 4 pounds and 14 ounces. Jalen is an seventh generation descendant of Dublin and Eliza Jane McLamb. 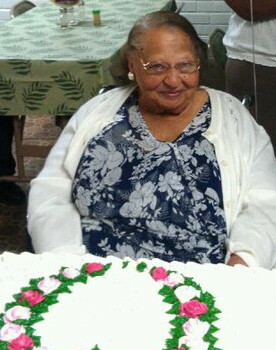 Jalen is Carolyn's first great grandchild of her first grandchild of her first child. Jalen is a direct descendant of Henry McLamb. 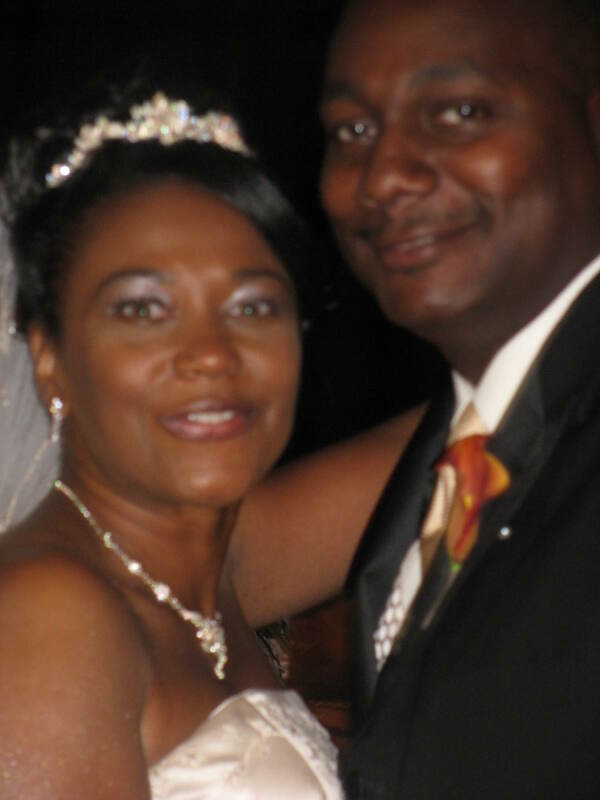 Patrick McLamb and Johnnell Archer married on October 4, 2008 in Pennsylvania. Patrick and his father, Larrie McLamb, Jr. attended their first McLamb Family reunion in 2008. They are descendants of Calvin McLamb from the Kinston-Lenoir County area and Craven County. 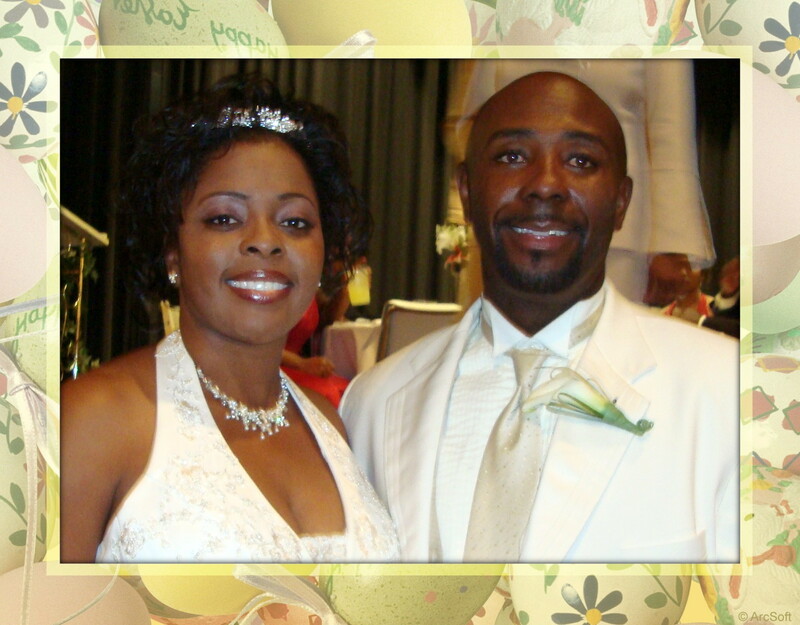 Tyrone Parker marries LaChandra Chance on October 4, 2008 in Clinton. Tryone is the son of the late James Raeford McLamb and the grandson of William "Buddy" McLamb and a descendant of Henry McLamb. 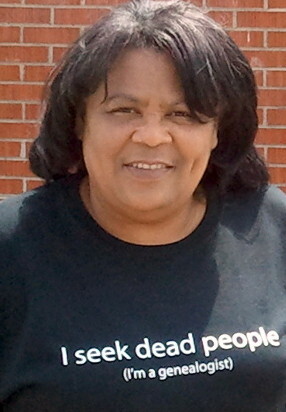 Brenda Williams is the granddaughter of William “Buddy” McLamb. Her daughter Kalia Williams graduated Space Coast High School and Eastern Florida State College with an Associate Degree. She is attending Florida Atlantic University in Boca Raton, Florida. She received scholarships from Tuskegee Airmen, Inc. and received the TRIM Excellence Award from College Prep ministry at Truth Revealed International Ministries. Brenda is in the ancestry line of Minnie McLamb. Doris Marie McLamb and son Andrew Ejiofor spent several days in New York City visiting numerous landmarks, such as the Empire State Building and Central Park in August, 2017. Andrew started his second year of college at University of North Carolina in Charlotte. Erica Bryant daughter Destiny in Lyceum started her junior year of high school where she continues to take Advance Placement (AP) classes in preparation for college. Her granddaughter Kaelyn started her first year of school. Erica is the daughter of Janie McLamb Bowen. Asia Cunningham graduated with a Master’s Degree in Education from North Carolina Central University in May 2017. Asia is the daughter of the late Donald Joe Cunningham and the granddaughter of Anna McLamb Cunningham. Terry Bowen’s son Dombre Wilson became a freshman at North Carolina Central University. Pamela Bowen the daughter of Jannie McLamb Bowen and the late Ronald Bowen wed Tyrone Freeman on May 31, 2008 in Riegelwood, NC. Pamela is a descendant of Isaac McLamb. Terry Bowen the son of Jannie McLamb Bowen and the late Ronald Bowen wed Stayce on April 19, 2008 at Vineland Station in Whiteville, NC. Terry is is a descendant of Isaac McLamb. Returning from my second Family History Conference in Charleston, SC in May, I stopped in Dillon to find the wedding chapel so many used in the early days including me. The wedding chapel is now used by the police. While at the Family History Conference I got to spend the day researching at the South Carolina State Archives. I first was tried to find information on a relative that fought in the Civil War, which proved unsuccessfully. My biggest find in the State Archives was the marriage record for my parents that proved just what I thought about my mom's age when she married. Please send any family news that you want to share to Linda Owens.